Whenever I get a new piece of furniture in my inventory, there is a battle that almost always ensues. It’s one that I know a lot of furniture painters have to deal with too. 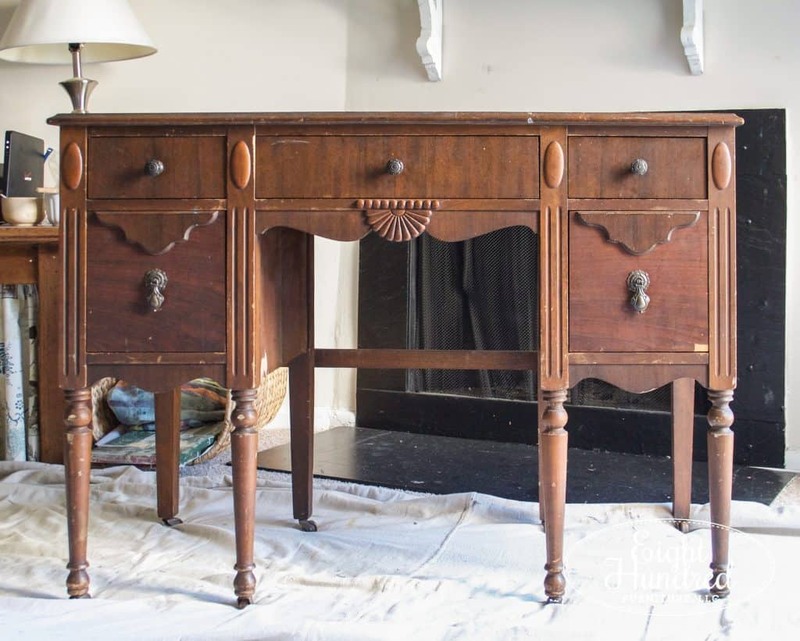 It’s the battle over whether to paint a piece of furniture to sell or to suit. You know what I’m talking about. It happens when you get your beautiful piece home. 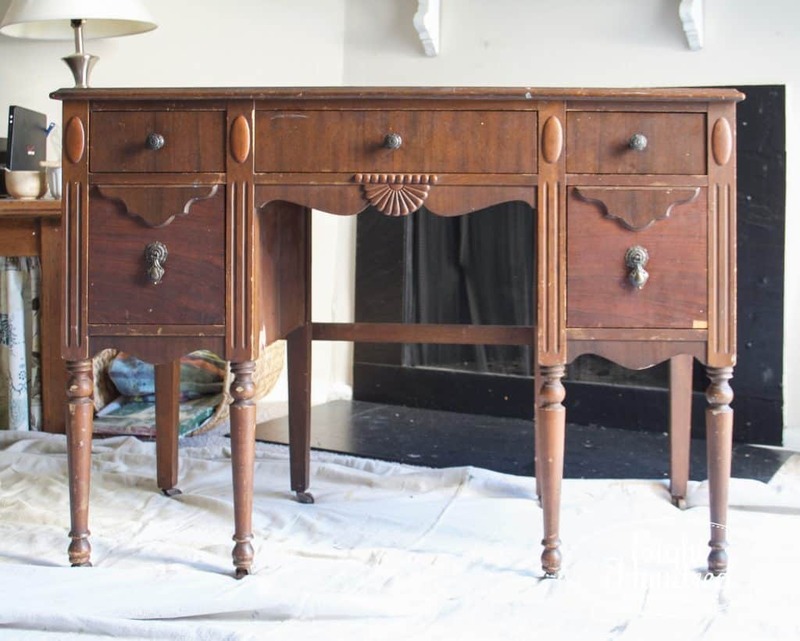 Say for instance, it’s a gorgeous antique vanity like this. It has great bones and a fantastic shape. It’s the perfect size to act as a desk, vanity, or even a behind-the-couch table. 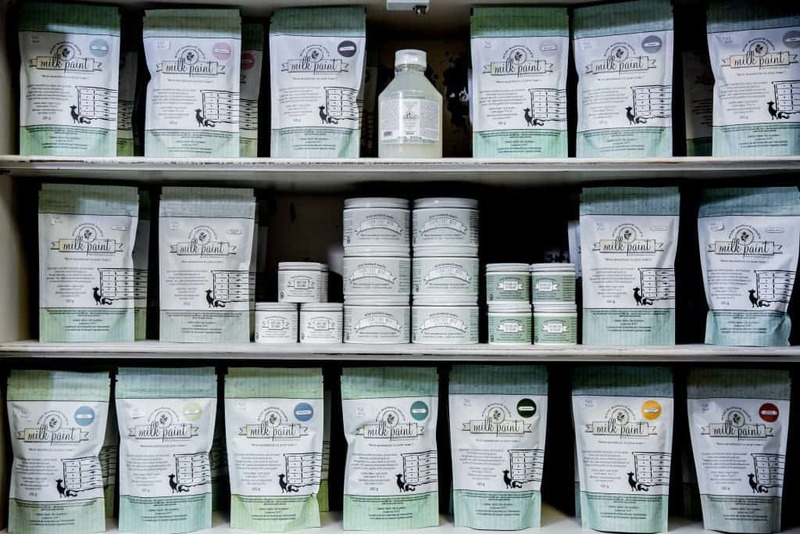 You make your way to your paint stash and stare at the plethora of paint choices. Thoughts of colors start flying through your head. 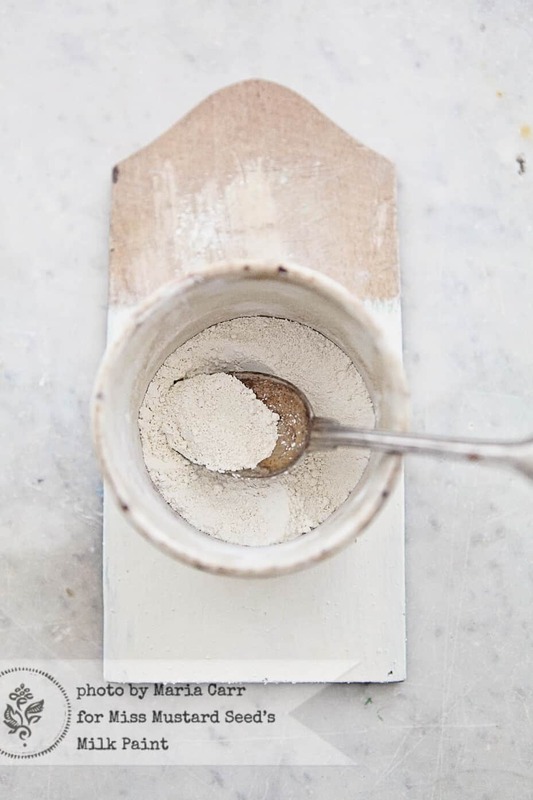 If you paint it white, you know it will fly out the door because everyone loves white. White matches everything! But then your creative voice kicks in. 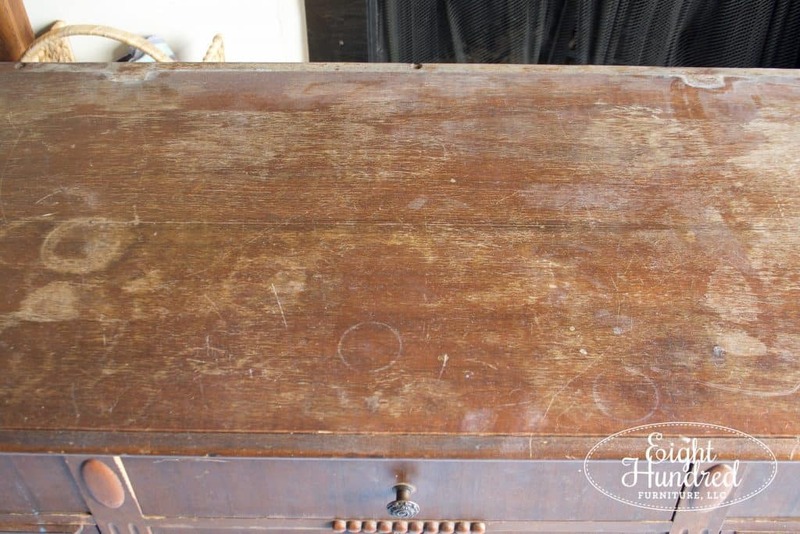 Wouldn’t this look amazing painted in Outback Petticoat? 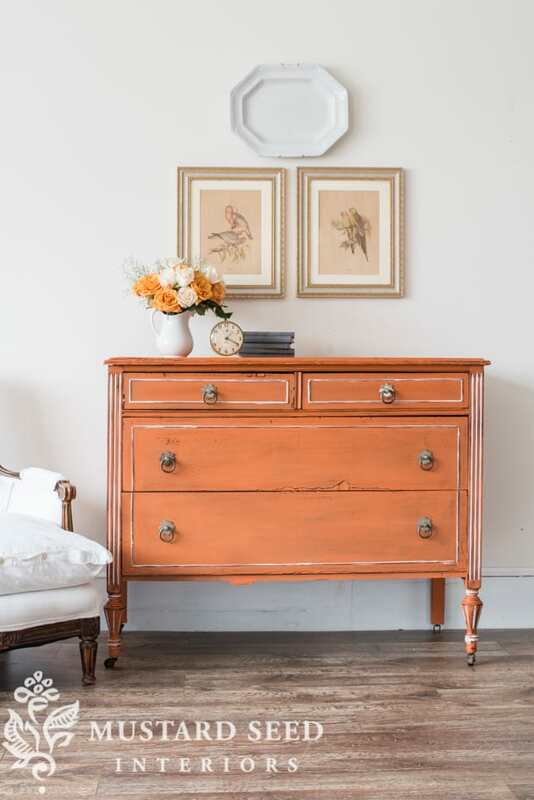 You’ve seen amazing pieces painted in this rusty orange color before and thought they were gorgeous. You’ve been dying to try Outback Petticoat on just the right piece. Doesn’t this one fit the bill? Ooh! 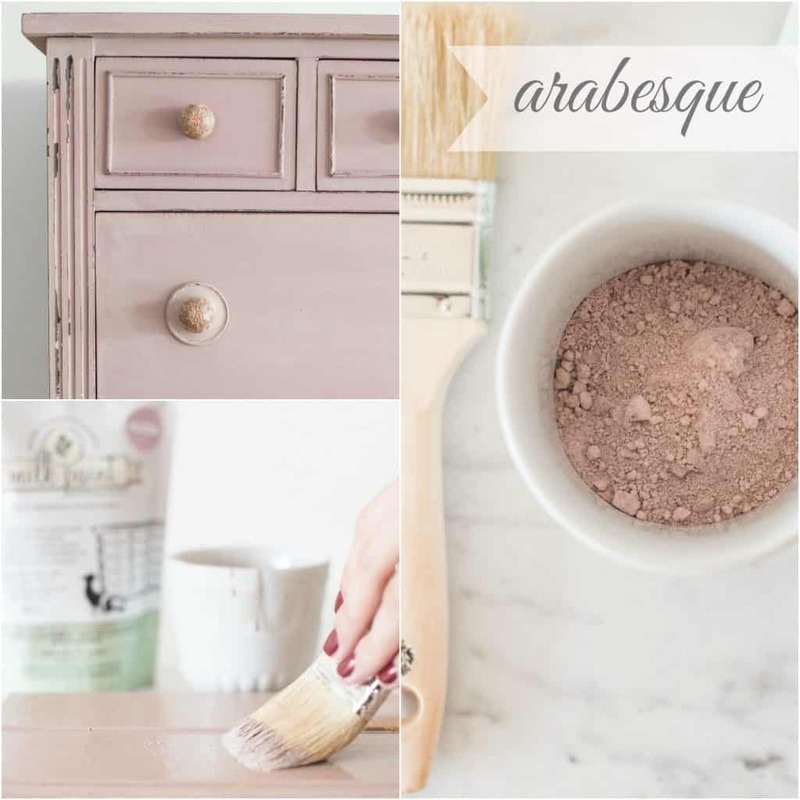 What about soft and dusty Arabesque pink? And then you hesitate. You start to talk yourself out of the “wild” colors. Girl, please. No one in their right mind would buy an ORANGE vanity. Pink is for little girls’ bedrooms and baby furniture. You’re limiting your audience if you use color. Your piece won’t sell if you use color. You’ll waste money if you use color. That, dear friends, is the battle that rages with just about every piece of furniture I paint. Do I paint it in a color that will sell fast, or do I paint it in a color that suites the shape and design of the piece? Do I take a risk or do I go with a sure thing? Neutral or color? Color or neutral? When you run your own business, you have to make money. That’s just a fact. If you don’t, then you have a hobby…not a business. But how much do you allow your creative juices to take over? Do you let them override the practical fact that it’s much harder to sell an orange vanity than a white one? 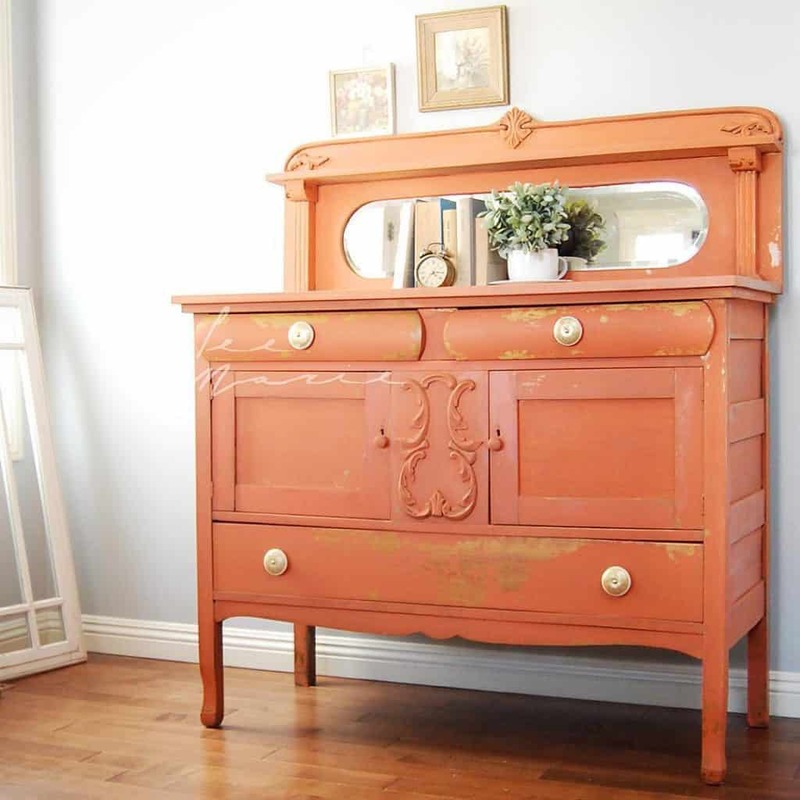 Guys, I really, really, REALLY want to paint my vanity orange or pink. I’ve been waiting for the perfect piece to come along that would wear either of these colors well. They are shades I’ve never worked with before and I’d like to say that I’ve painted with every color in the Miss Mustard Seed line. 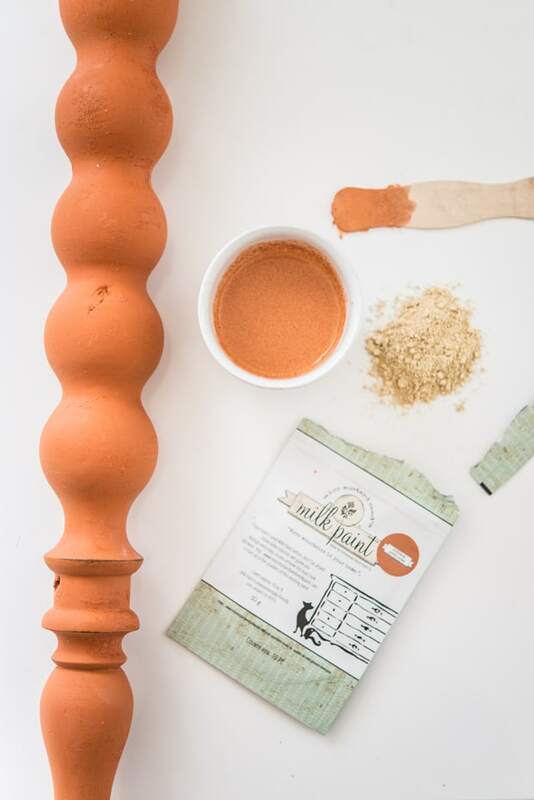 As a Milk Paint retailer, I think it’s important to work with every product and know how they behave inside and out. But let’s face it…colors are a tough sell. Especially if that color happens to be orange. You have to get the staging exactly right and pair it with complimentary smalls. Could I sell someone on pink or orange? Could this piece pull it off? Can I pull it off? One decision I know I’m not stuck on is what to do with the top. 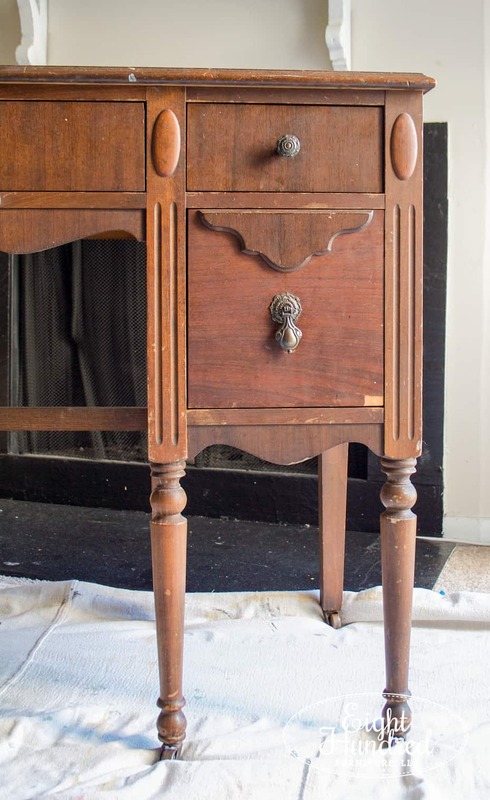 This will be stripped and refinished. At least I know what to do with that part! So, what do you think? 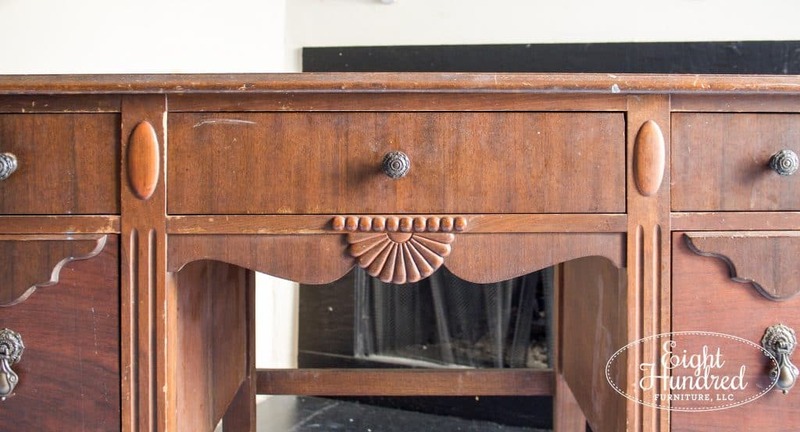 Do I paint this vanity to suit or to sell?